Stunning washbags, lined with white waterproof lining in Olivia in Ripple, finished with a natural leather pull and brass studded base. 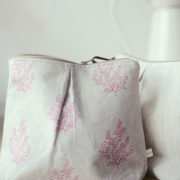 This item is made out of our lovely linen, and is a handmade bespoke piece (we cannot accept returns unless faulty). 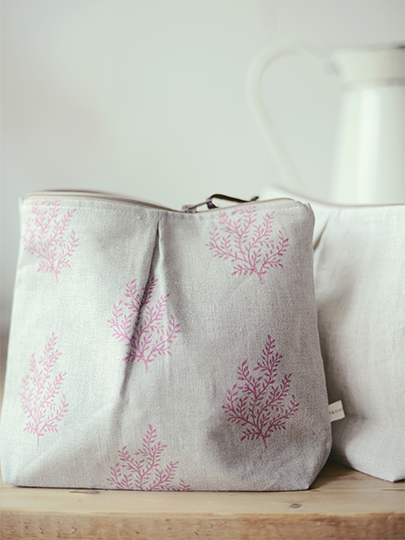 This washbag is designed to house most items including skincare, toothpaste, brushes, deodorant, perfume. It will not hold big shampoo bottles – check the size before ordering! !